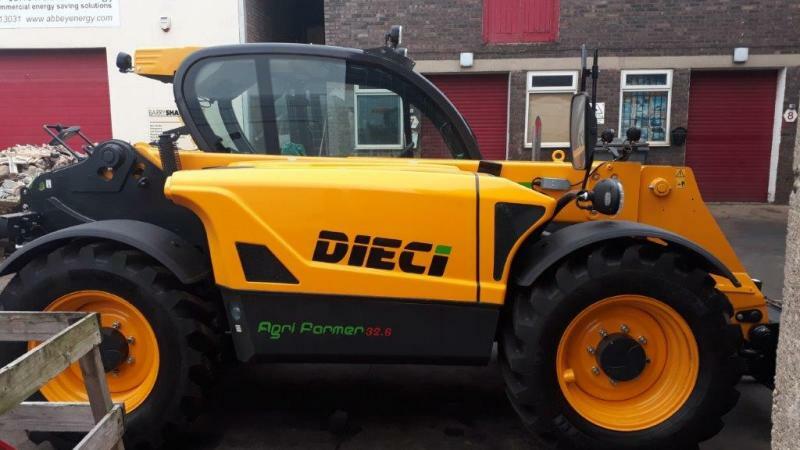 We have a new Dieci Agri Farmer 32.6 Telehandler available now for demonstration. The Dieci Agri Farmer 32.6 Telehandler has a maximum capacity of 3.2 ton and a maximum lift height of 6 metres and has been created to complement the telehandler to the tractor, thus satisfying every lifting and handling requirement in small and medium sized farms. Known for its handling, power and precision characteristics and for its great fluidity of movement, the Dieci Agri Farmer 32.6 Telehandler is designed to ensure a high level of comfort, and with its compact width of only 2 metres (tyre to tyre), this telehandler can squeeze into spaces many other similar telehandlers can’t. Our demonstrator has good specification and comes with a cone and pin headstock, although other options are available. Its unladen weight is 5900kg and it has a maximum speed of 35kph. With its on-board computer with LCD display, this allows the operator to monitor all the machine operating parameters with ease. To book a demonstration please contact our sales department and for more technical specifications, visit the Dieci website. 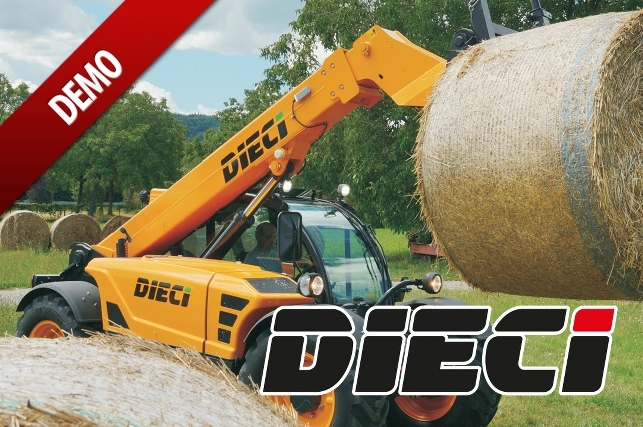 Why not book a demonstration with the Dieci Agri Farmer 32.6 Telehandler today?